Caroline Walerud, co-founder of 3D scanning startup Volumental, explains that even in Sweden's mature startup scene, she had to turn to Kickstarter this summer to raise more than $20,000 in seed funding. Volumental, my own startup, was born in a hotel room during a Skype call at 3am in October 2012. I was calling three technologists from Stockholm's Royal Institute of Technology, whom I had first met just days before. We decided to start the world's first cloud-based 3D scanning service. The 3D revolution will change the world, but it requires access both to 3D printers and to 3D models for printing. But those 3D models are still too difficult to create - and that is what Volumental is here to change, from one of the top startup hotspots in the world. 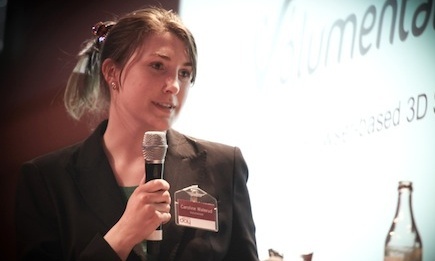 Caroline Walerud of 3D scanning startup Volumental. Photo by stockholminnovation on Flickr. All rights reserved. Welcome to Stockholm, birthplace of Mojang and Spotify. We're an educated, early-adopter people, often described as trendy Germans who speak great English. We're tech-savvy and, with the help of a supportive ecosystem, our start-ups quickly go global. Volumental's first customer, for example, was Australian. Still, we are the land of the 'safety junkies', as described by the Swedish psychiatrist David Eberhard. It pains me to write that Swedes are afraid of failure, but we are. Like it or not, successful ventures are not built in the lab; they evolve through repeated market testing. In that evolution, failure is natural and weeds out bad ideas. Failure should welcome feedback. Unfortunately even the government is afraid of failure, despite most early capital coming from public institutions with book-long applications. Early grants are earmarked for consultants, pushing the focus away from sales and towards administration and meticulous business planning. The Swedish innovation agency Vinnova is doing a great job changing that approach, but they can't do it alone. Private funding cannot fill this gap: due to suffocating tax laws on investment Sweden has few business angels, and even venture capitalists are safety junkies in their own way. Because of this, Volumental is focusing on international funding sources, such as our Kickstarter campaign that went live this summer and exceeded its fundraising target. How do startups compete with big business? That safety dependency means we fight for magical people, but they prefer stability. Instead of high salaries, we want to incentivise with shares and stock options, but tax regulation made this almost impossible to set up. Sweden must realise that today we are fighting for the rising stars in a global market, losing start-ups to the speedier Silicon Valley. In that 3am call, I took the leap into Volumental. It was the first of many late nights when we were only a team of techies with a cool idea, months of hard work with no pay and constantly firefighting problems. We're still learning from our failures, now with customers, funding and a team of eleven, and getting closer to success. This is part of Stockholm - a capital iterating on its failures, and getting better every time. Klarna tells Jemima Kiss why its payment system takes the pain out of buying on mobile, and why it is also sitting on a powerful big data play. Buy something using Klarna on any retail site and you'll immediately notice the difference; a clean, minimised login that can be done in one-click, and you can choose to pay immediately using Visa, Mastercard or online banking - or choose to pay next month. Complex logins, repeating information and paying before goods arrive were all points of pain that Klarna is trying to fix, explains director of product management Ted Bowman. "We think we are the first product that makes people want to buy on mobile. 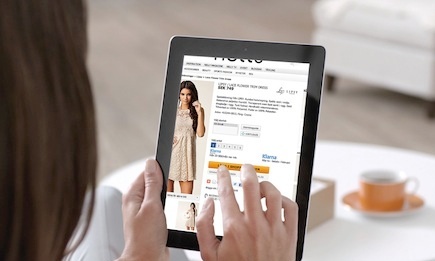 No-one has totally cracked it but we're very focused on mobile conversions." He explains how the fiddly process of buying online is easily disrupted - the doorbell rings, the kids kick off, you can't find your purse - so the simpler to process, the more likely you are to complete the transaction. And if you buy using Klarna from multiple sites, you can pay the whole bill together once each month. How can Klarna offer credit to consumers without taking on too much risk? The answer, says Bowman, is by employing far more sophisticated and comprehensive ways of tracking a user's credit worthiness. "We think we have the best risk assessment in the world, looking at 142 different factors on a transaction by transaction basis, from social media and time of day and to data on individual things you have bought. If you suddenly go online and buy five iPads shipping to Romania at 5am, we'll flag that up." The front end, meanwhile, combines a simple interface with the idea of making Klarna the 'want' button on retail sites. The focus is on being part of a physical goods delivery system - there is no interest in being used to buy virtual goods, which have a less tangible value. One click checkout is done using your email address or phone number, and the process uses information from previous orders or a third party provider to prefill the rest of your details. How ethical is it to gather this kind of fine grain information about consumers and use it against them in this way? "The German authorities are very particular about the data we use to make credit decisions," says comms VP Claes Tellman, who not coincidentally has a background in the risk assessment-heavy gambling industry. "Debts are growing for younger people, but debts on Klarma have gone down to 0.5%. We don't let debtors in." Are they challenging PayPal? "We'd be happy to have the level of success they have had in the US but we do think there is room for improvement," says product manager Phil Mikal of the eight countries in which Klaran operates. "Our product is not the same country to country, and we learn through the pain and success of each unique product." In Sweden, the benefits are a highly educated workforce with a way of working that is very focused on solutions to problems, he explains. Swedish companies tend to be less hierarchical, so junior staff are more free to questions managers. Klarna's story is a familiar one of tenacious founders in their early twenties with a good idea. Sebastian Siemiatkowski, Victor Jacobsson and Niklas Adalberth have had a meteoric rise from meeting at Burger King, to a level of ubiquity in Sweden on a par with cash or credit cards, where Klarna accounts for 30% of all ecommerce transactions. 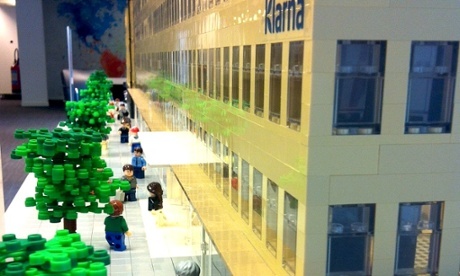 Klarna's slick Stockholm offices are home to most of its 800 staff, backed by Sequoia, General Atlantic, Digital Sky, Oresund and by veteran Swedish investor Jane Walerud - mother of Volumental founder Caroline - who pitched in the first $80k back in 2005. There's an intensity and growth in Sweden that echoes the success of Silicon Valley, but a particularly Swedish thought leadership, commercial polish and highly skilled workforce. Klarna is being used 15,000 merchants, starting to expand from its large userbase in Sweden, and has been used by 20 million individual consumers for 60m transactions since launch. It processed €2bn in transaction volumes for 2012 with an average spend of €40, and is profitable with "a couple of hundred million in revenues" since launch. As well as breaking new markets, Klarna is also looking at its goldmine of real-time retail data; a powerful chunk of market insight especially at peaks like Christmas. Compare that to market insight at the startup Editd, which mines fashion sector data from retail and trend watching sites to inform retailers designs, stock and price points and you can see how powerful, though sensitive, this cross-industry could be. "That would have to be rolled out in a universally accepted way because sharing data between merchants is controversial. We're not yet at a point where we could release that as a product, but we are looking at that on our roadmap." Tictail's sleek, simple and brilliant plan to be the Tumblr of online stores - and with an API to match. Co-founder Carl Waldekranz tells Jemima Kiss more. Jemima Kiss interviews Per Roman of tech investment bank GP Bullhound on the strengths and challenges of the Stockholm tech scene. 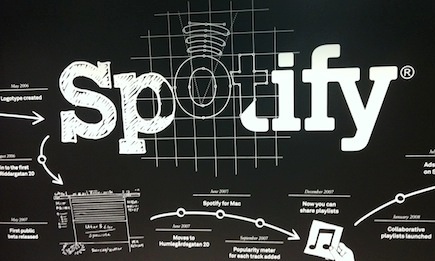 Beloved by music geeks the world over, Spotify is arguably Sweden's most famous modern export. But how can the service move into the mainstream? 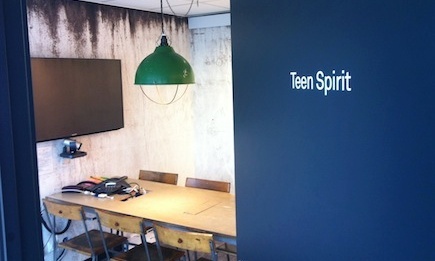 Jemima Kiss speaks to Ian Robbins on Spotify's product development team for music discovery. Music discovery has been top of the Spotify user's request list since, arguably, the service began. The site offers two different experiences, explains Ian Robbins from the product development team; the lean forward user who knows exactly what she wants to listen to and isn't daunted by that blank search box; and the lean back user, who wants a more serendipitous experience akin to radio. It's that lean back experience that had been missing until the discovery feature for the web app launched in April on trial and then more broadly in May this year. Crucially, discovery is a feature designed to pull in and keep new users, making the service more sticky and accessible - and mainstream. 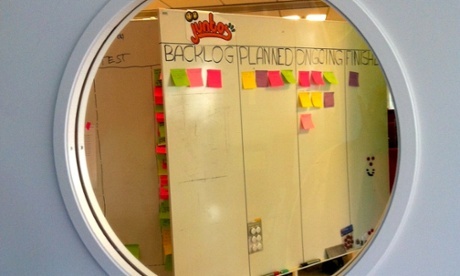 "Personalisation is a powerful experience and infectious," said Robbins. "When you come into the product from the first day as a new user, it shows what you're listening to, what might interest you and tells you that if you follow artists and bands the experience will become even more personalised." Users who browse more play more music, he said, pointing to user data, so the aim is to encourage more playlists and more plays. He described more 'affection' for Spotify itself once those kind of discoveries have been unlocked. This desire to appeal to a mainstream music fan informs the way that Spotify rolls out new products; rather than use an elite group of Spotify obsessives or musos to test new features, the site now rolls out to 1%of all users, then 2%, then 5% and then site-wide. Feedback is then far more relevant for the majority of users. Spotify admits to being caught out by the speed at which users are moving to mobile platforms. "It makes 'platformisation' even more important. Everything is now mobile first, " says Robbins. "That isn't the priority for all companies - it depends what the product or service is, and who the userbase is." iPhone users, for Spotify, are slightly more geeky, but the rocketing number of Android users - and more mainstream users - means it is now as important to develop for. The three core products are now iPad, iPhone and web app, the latter being a significant step towards reaching a mainstream who might be uncomfortable downloading desktop software. There are clever tweaks in discovery; the new preview tool play's with press-and-hold, so click off and the current song continues playing. A little of the touch-and-hold of Vine? The preview is a small clip a certain percentage of the way through the song - 'the magical mean'. Spotify has also ditched the 'friend' model in favour of the 'follow' model; Robbins describes this as a broader and more relevant term, as users can follow albums as well as artists. Those artist pages can now be customised, giving them a profile to curate and making followers - their fans - visible. Making playlists for fans is popular; Daft Punk do this regularly, and the massive success of Get Lucky on Spotify (and everywhere else) has made it the site's number one track of all time with more than 63m listens. Robbins talks about the acquisition of fellow-Swedish playlist company Tuneigo in May. "It was already one of our best partners and the traffic stood out last year - it's about brilliant curation." It gave Spotify a market-tested playlist tool, and accelerated its work on music discovery tools. "Phase 4 is to expand that artists experience to more of a promotional platform," Robbins explains, "That follow model means artists can take advantage of having all those fans, so they could ask followers to login to share a preview of their new single. We want to create a level of customisation that is measured, so not quite the MySpace side of the spectrum but not the same site for everyone - developers get tools, and artists get promotion." Jemima Kiss interviews Johan Jorgensen of FundedByMe, a platform that connects investors with entrepreneurs. A simplified classifieds app, Osom presents items for sale in an Instagram-style format. Founder Anton Johansson tells Jemima Kiss about 'emotional shopping'. King's success in casual, social games seems less covered by the media than console-centric games press, but that could just be because its core audience of female players aged 25-45 are more interested in playing the games rather than reading about them. King's own focus on that area, and refining a format that has worked repeatedly, came after their initial strategy of partnering with portals like Yahoo started to falter. "Facebook was sucking the air out of casual game play but that took a while to understand that," said Sebastian Knutsson, chief creative officer. "We reinvented what we did, took half the Stockholm staff and put them on new formats using our knowledge of games, until we found formats that work well. 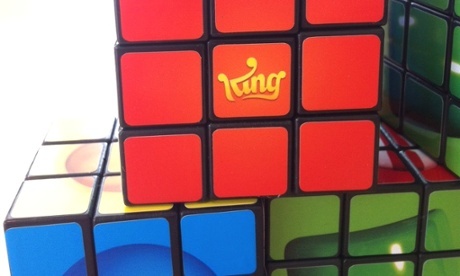 King is profitable, though Knutsson won't talk financials. Users are 50-60% females in that 25-45 age bracket, although more men are finding King's titles since they began to focus more on mobile; they seem happier to admit to playing these accessible, populist games on mobile than on Facebook. 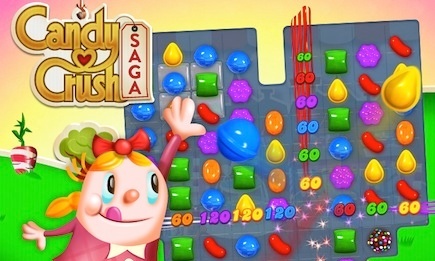 Its runaway success is the Candy Crush saga, a familiar format of addictively rearranging colourful sweets. "We don't expect every game to reach that level of success, but we are trying to hit-proof the business by launching games on our platform on the web in a smaller, lighter form, then get a sense of the response and embellish the gameplay," says Knutsson. "We have a higher success rate than most, but many of our games are evergreen. Card games are as popular as ever, and Tetris just as much as it was 20 years ago." For casual gamers, or people just starting, it's normal to start with something that feels familiar, even nostalgic, just as new users of Spotify tend to search for the music they loved 20 years ago. The way to engage those users is not by giving them tools to brag about their achievements, but with tools that let friends help each other - particularly on the infamous Level 65 of Candy Crush. 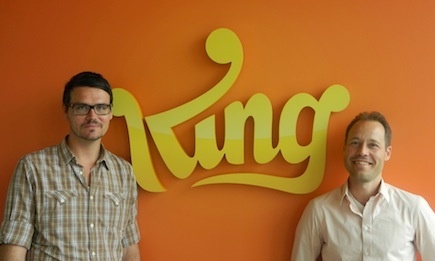 King has offices in London, Stockholm, Hamburg and Bucharest amongst others. Knutsson said the focus on product and innovation, - perhaps without the bluster and hype of some US social games companies - has contributed to a stealthy success for this sector; Scandinavian games accounted for five of the top ten iPhone games at time of writing. It's often said, but the principle of being humble about success is innate. "I think you have to be careful about believing that success is permanent, that we have to say what the mistakes are and build the right internal culture and manage that success in a good way," said co-founder Thomas Hartwig. The team develops games quickly - about three months is typical from conception to launch - and the focus is on developing game IP, though the ideas that don't work are just as important in informing game design. It's easier to grow new territories on mobile, he said, but while there is huge potential in the US and Europe, it's Asia - particularly Japan and China - that would be the grand prize. "There's intense competition from local players and it's hard for western companies to grow big. China has a huge market and big studios. The future giants will be Asian - Tencent has something like 48,000 staff. But Candy Crush has been the number one game in Hong Kong, Taiwan and Singapore. The game is general enough that it speaks to a mainstream audience but needs strong marketing channels and partnerships to get into that market." There are 39 staff at King who work on data analysis, using information on gameplay to inform their new titles. "That work with data combines with intuition and experience to fine tune our games. But longevity is trickier than getting the one hit that explodes. Repeating it is the big challenge, though there is an advantage in being in a segment where the games aren't really bleeding edge - the consumers are less fickle, and if you have good relationships with those consumers you can keep them for ten years." Semantic data analysis tool for speech, Gavagai has multiple applications. Chief technology officer Fredrik Espinoza and co-founder Magnus Sahlgren introduce the technology. Lifeblogging tool Memoto takes two photos a minute all day. Chief executive Martin Kaellstroem tells Jemima Kiss why he thinks we need a lifeblogging camera. While most of the rest of the newspaper industry was tying itself in knots about the death of print, Norway's Schibsted was ploughing ahead with diversification. In 2003, Schibsted paid around £20m for blocket.se, a traditional online classifieds site that has become a template for complementary businesses to Schibsted's media portfolio. With plans to close the printing presses in 2017, the race to online profitability is on. Though "considered reckless" by the media at the time, according to head of growth investments Dan Ouchterlony, Blocket has become Sweden's biggest classifieds site and profits quickly grew to justify the purchase price; in 2012, EBITDA profit grew 54% year-on-year to £41m. Schibsted had failed to replicate what Blocket was doing in the early days, and so bought the site instead. 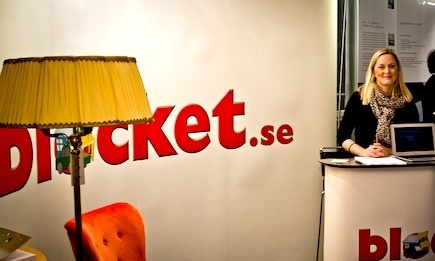 Blocket is Sweden's most successful classifieds site. Photo by THS Armada on Flickr. Some rights reserved. "The decision was not a management one, but driven from the floor because journalists felt classifieds were a natural extension," said Ouchterlony. Schibsted has invested in another seven established classifieds sites, including Willhaben.at in Austria and Coches.net in Spain, as well as 14 earlier stage sites including Mudah in Malaysia and Bikhir.ma in Morocco. Most are based on the Blocket model, though Richard Sandenskog, a former journalist and the investment manager for Schibsted Growth, says the point is not to make a quick buck out of consumers, but to provide tools that help them make better decisions. 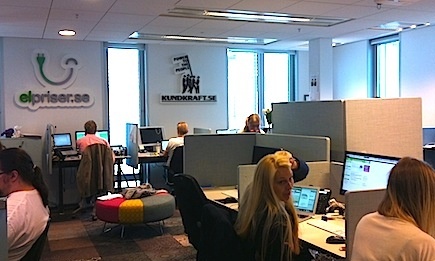 Aftonbladet office. Photo by bengt-re on Flickr. Some rights reserved. 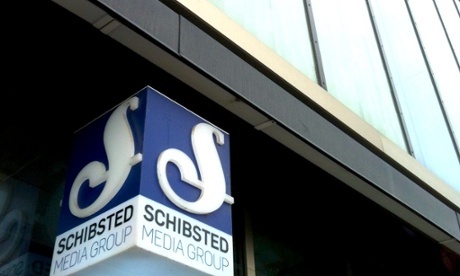 Schibsted's media properties include Norway's Aftenpost and Verdens Gang, the 20 Minutes brand in France, Spain and Switzerland and the Swedish national tabloid Aftonbladet. 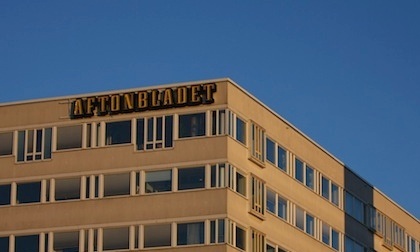 Aftonbladet's network claimed 4.8m unique browsers for the last week of August 2013 making it one of the busiest sites in Sweden, with Blocket recording 3.3m. Another principle has been to use unsold inventory on Schibsted's media sites to promote its own companies - rather than flogging the space through services like Google who auction to the highest display bidder. TV guides, weather, daily deals, personal finance, insurance and mobile price plans all complement those media sites, said Sandenskog. 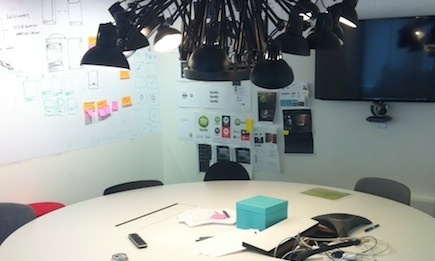 Schibsted's sunny open plan Stockholm offices are buzzing with banks of startup teams, all working on these complementary products. "Journalists don't think they are in the media business - they think they are in the content production business, so they don't get excited about new business models. But the fact that we have this model today shows we are major global players - the mindset is a more commercialised environment than broadsheets." Sandenskog said journalism has been addicted to the ad-funded model for 150 years, yet display advertising is just not large enough to support news businesses now. "Management has been doing this long enough to be curious about what could happen if they bet on the internet, and did so even during the financial crisis - we effectively moved to cannibalise our own business." But the window of opportunity to develop these consumer-focused web businesses is getting increasingly competitive. Concept clones now take months, not years, to roll out and with increasing activity in China and the ever present US, that competition is global. But that does have some benefit for a Scandinavian company initially insulated against English-language competition by its domestic market. "We're getting bigger and bigger footprints, and can help startups omit VCs," said Ouchterlony. "We explain that we can help them scale, and use our firehose of marketing power as well as the experience of our 20 portfolio companies." "There are hundreds of profitable internet companies - very healthy local investments and transparently profitable. The profound conclusion you draw is to not try to be the next Facebook, Google or Twitter." The chief executive and chief technology officer of DoReMir join Jemima Kiss to explain how music notation tool Score Cleaner evolved from a research project to a simple but powerful consumer app. Goo's browser-based tools power 3D graphics for games and retail sites, all built in HTML5 and plug-in free. 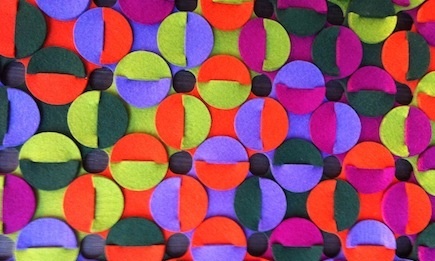 Jemima Kiss finds out more from Martin Vilcans and Rikard Herlitz from Goo. • Sweden's Green Party MP and economic spokesperson Per Bolund won a standing ovation at Stockholm's STHLM Tech Meetup earlier this year for making a proposal to the Swedish parliament that would reduce tax startup employees pay on their equity in the company. At the moment, employees are effectively taxed twice on equity, meaning they lose as much as 80-90% of the equity value in tax. That makes it much harder for startups to use equity as an incentive to attract new talent - something that's standard in the wider tech industry - so it's bound to be hugely popular. That said, the Green Party won only a 7.3% share of the vote in Sweden's last election and is very far from being in power, so there is little chance of changing the law unless one of the major parties decide to pick this up. • 'Jantelagen' is somewhere between a social tradition, a cultural mindset and an unspoken characteristic of Scandinavians in which individual success or self-promotion is frowned upon, while humility and shared success is seen as more worthy and valuable. 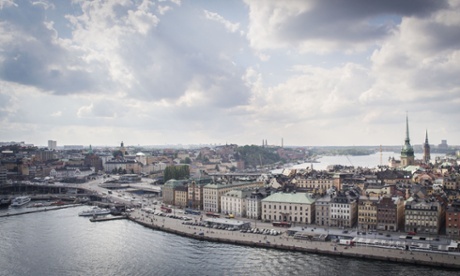 It is often discussed and regularly dismissed, but however realistic, there has unquestionably been a lack of self promotion and credit for the Swedish startup scene in particular, which punches way above its weight in terms of commercial acumen and talent. 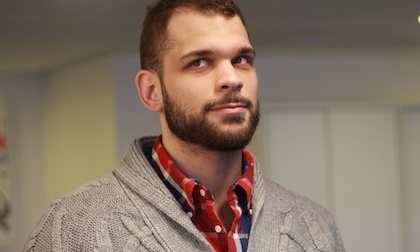 • LA-based tech rabble rouser Tyler Crowley has been living and working in Stockholm this year helping organise Stockholm's Tech Meetup and motivating entrepreneurs and developers to promote Stockholm's talent more widely. The hashtag #sthlmtech is supposed to help that, but there's also the blog Swedish Startup Space, Martin McKenna's excellent blog on the scene and even a pop-up shop for startups. There's no shortage of specialist tech meet ups, and an international, established pool of veteran tech talent contributing to the discussion, including Maja Brisvall and Beata Wickbom. Stockholm at night. Photo by Jacob Haddon on Flickr. Some rights reserved. Sebetulnya sudah lama ingin melakukan redirect gambar, hanya saja karena sebelumnya selalu menggunakan cms yang sudah jadi .. mau melakukan ini agak kesulitan karena terkendala keterbatasan pemahaman cms yang pas - pas an. Ide dasaranya adalah memindahkan gambar yang yang di panggil tanpa kehilangan seo imagenya. 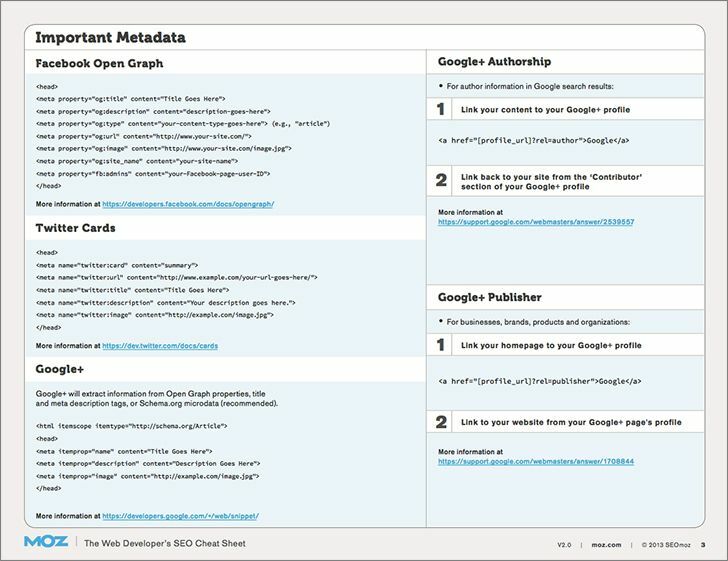 Dari hasil baca-baca di forum ini, yang tergambar adalah bahwa search engine melakukan crawl terhadap situs kita dan kemudian melakukan indexing. Mungkin para master disini bisa lebih tau bagaimana cara search engine macam google image mencari gambar untuk di tampilkan di hasil pencariannya. jauh lebih bagus di banding yang asal-asalan kasih nama. img_out = alamat domain lain yang kita titipkan gambar kita. ini menjadi syarat penting untuk bisa melakukan redirect dengan tetap mempertahankan seo. Disini dibutuhkan modifikasi htaccess. Untuk menjadikan alamat lain jadi user friendly mungkin tidak akan di bahas di sini. Sebaiknya pisahkan antara folder gambar yang akan di redirect dan tidak. dalam kasus di atas hanya folder di original saja yang akan di redirect, sementara gambar dalam folder image tidak akan di redirect. Meski sudah melakukan redirect ada baiknya tetap menempatkan gambar yang sama dalam folder kita, tujuannya tentu saja untuk berjaga2x apabila suatu saat situs penyimpan gambar tersebut tutup dan kita terpaksa harus menggunakan hosting kita lagi. Dengan cara ini tidak perlu lagi khawatir akan hotlinking, karena gambar akan di redirect secara otomatis. Anda bisa menambahkan script lain, seperti pin untuk pinterest pada image. Cara ini membutuhkan kerja dua kali, karena kita harus mengupload gambar pada tempat berbeda dan mengambil alamat source nya. Secara pribadi saya tidak mengetahui apa cara ini termasuk dalam white hat / black hat bila di nilai dari search engine. Untuk amannya sebaiknya tidak menambahkan script berlebihan pada images.php biar terkesan bahwa itu adalah halaman yang murni dari situs kita. Maaf kalau nulisnya acak-acakan ..
Halo semua , apa kabar semua ..? Dan salam sayang buat rekan2 yang kenal saya aja dech . Di sini saya mau sekadar sharing bagaimana sih caranya menajemen 10 blog atau lebih untuk investasi kita ? Banyak yg berangapan kalau blog indo kurang prospek , kata siapa sih ? Menurut saya sendiri sangat prospek loh , apalagi buat adsense atau program lainnya seperti affliansi . Nah untuk investasi blog kita perlu blog , cara membangun blog sendiri ada caranya - jadi ga langsung kita buat 10 blog . Nah anggaplah di sini anda belum punya blog dan akan mulai dari awal . 1. Bermain dengan blog 1 topic , biasanya nilai klik lebih stabil dan pastinya ctr lebih besar di banding blog biasa . Tapi di sini juga harus pandai2 memilih topic , coba agan cari topic yang banyak pengiklannya ( otomatis banyak iklan yang relevan dengan content di blog agan ) . coba search di google dengan kata kunci topic anda , apabila banyak iklan yang tampil seperti di bagian atas , samping ataupun bagian bawah menandakan keyword prospek . Dengan cara ini di dukung dengan templete yang bagus dan konten yang relevan dengan iklan pasti CTR anda lumayan besar . di kisaran 4 atau 5 % sangatlah mudah . 2. Bemain adsense dengan visitor , cara ini anda tidak perlu memikirkan konten relevan dengan iklan atau tidak yang terpenting templete blog anda sudah mendukung . Misal anda punya blog dengan topic general dengan visitor di atas 20K/day , kalau visitor segini di pasang adasense kan juga lumayan CTR 2% aja dah bagus banget . Dengan cara ini banyak kok keyword yang bisa di ambil seperti : kata mutiara , kata bijak , info yang lagi ngetren DLL. nah di atas hanya gambaran pendapatan dari adsense versi blog ind , kurang lebihnya seperti itu . Jika kedua blog tadi telah selesai dalam 2 bulan dah hasil telah memuaskan , untuk selanjutnya update rutin jadi 2 artikl/ day . Nah , selanjutnya anda build lagi 2 blog dalam 2 bulan juga harus bisa seperti itu . Langkahnya sama pada step 1 . Nah setelah step 2 selesai anda sudah bisa panen rejeki dari 4 blog , tinggal anda mau lanjut lagi tidak .Kalau mau lanjut anda bisa cari CWlah buat bantu update blog yg sudah rame pengunjung tadi , otomatis beban update anda berkuarang dan bisa lanjut build blog ke 5 dan 6 dan seterusnya . 1 . blog umur 2 minggu kasih backlink yang berkualitas dari blog dummy dengan linkwhell ( kasih aja 5 BL , jangan lebih ) biar lebih berkualitas , tiap blog dummy mereview blog utama dan backlinkpun di arahin ke homepage dulu . Nyepam , jangan terlalu banyak nyepam karena bisa barakibat sanbox bahkan lebih ngeri . Saat ini saya sendiri masih di tahap 1 , insya allah 1 bulan lagi selesai . Semoga bermanfaat dan apabila ada pertanyaan silahkan coment di bawah . Ritual Pemakaman Tersadis dan Terunik Di Dunia - Kematian merupakan suatu hal misterius dalam kehidupan seluruh umat manusia. Pada umumnya, manusia memakamkan jasad kerabat mereka dengan cara dikubur di dalam tanah. Namun beberapa peradaban di dunia ini memiliki cara khas tersendiri dalam memperlakukan jasad manusia yang baru meninggalkan dunia tersebut. Ritual pemakaman ini mungkin adalah yang paling sadis diantara daftar ini. Beberapa suku pedalaman di Amazon dan Papua, memiliki ritual pemakaman yang sangat brutal. Mereka memakan jasad kerabat mereka yang telah meninggal! Mereka percaya bahwa hal ini merupakan cara paling efektif dalam menunjukkan cinta dan kasih sayang mereka kepada kerabat mereka yang telah meninggal tersebut. Dipercaya bahwa mereka akan mendapatkan pengetahuan dan kemampuan yang dimiliki oleh orang meninggal itu saat dia masih hidup. Setelah didoakan oleh kerabat, jasad manusia yang telah meninggal dibawa ke suatu puncak gunung. Dengan kondisi telanjang, mayat ini ditelungkupkan dan disayat-sayat. Tidak lama kemudian burung pemakan bangkai pun berdatangan menyantap jasad manusia tersebut. Bahkan, terkadang tulang juga ditumbuk halus sehingga dapat juga dimakan oleh burung lain yang lebih kecil, seperti gagak. Sebelumnya, bagian tengkorak kepala dipotong terlebih dahulu dan dibawa pulang untuk dijadikan cangkir minuman. Merasa cara pemakaman ini sadis? Coba baca dulu ritual pemakaman berikutnya. Masyarakat beragama Hindu percaya bahwa ketika seorang pria meninggal, sang istri yang ditinggalkan diharuskan membakar dirinya bersama jasad sang suami sebagai bentuk pengorbanan dalam pernikahan. Walaupun pemakaman ini melanggar hukum, namun praktek Sati masih dilakukan oleh beberapa orang sampai sekarang. Di Madagascar, oleh sebagian orang, upacara kematian ini dilakukan dengan cara mengajak berdansa jasad kerabat yang telah meninggal. Hal yang nampak mengerikan itu sudah umum dilakukan di sana. Kuburan kerabat yang telah dikubur di dalamnya selama beberapa tahun (biasanya dilakukan setiap 7 tahun) dibongkar kembali dan mayat yang tersisa dibungkus kembali dengan kain sutra. Setelah itu bungkusan sisa-sisa mayat tersebut diangkat oleh beberapa orang dan diajak berdansa dengan diiringi lagu yang ceria. Setelah ritual selesai, jasad tersebut dikuburkan kembali. 6. Bog BodyProsesi kematian berikut dilakukan oleh masyarakat Eropa Utara mulai abad pertengahan silam, dengan cara menenggelamkan jasad manusia yang baru meninggal ke dalam sebuah rawa. Tidak seperti pemakaman kuno lainnya, bog bodies mempertahankan kondisi kulit dan organ tubuh dalam keadaan yang tidak biasa, karena kondisi rawa tersebut. Kondisi ini termasuk air dengan kadar asam tinggi, temperatur rendah, dan kurangnya oksigen, yang membuat jasad tersebut utuh, namun dengan kulit yang terlihat gosong. Proses pemakaman yang berawal pada masa Mesir kuno ini dilakukan oleh kalangan kelas atas. Dipercayai bahwa proses mumifikasi membantu roh orang yang meninggal dalam perjalanan menuju akhirat. Ada banyak sekali cara dalam proses mumifikasi, salah satunya adalah dilakukan dengan mengeluarkan semua organ dalam tubuh jasad, termasuk otak, yang dikeluarkan dengan cara dihisap melalui hidung. Setelah itu, jasad tersebut diisi dengan bahan kering seperti serbuk gergaji. Kemudian diberi balsem sebagai pengawet dan dibungkus kain linen. Mumifikasi terjadi pada suhu panas dan kering sehingga tubuh akan terdehidrasi dengan cepat. Biasanya mumifikasi terjadi pada 12-14 minggu. Jaringan akan berubah menjadi keras, kering, warna coklat gelap, berkeriput dan tidak membusuk. Bagi agan agan yang suka berkendara, masalah seputar ban bocor tentu sering ditemui dan harus diwaspadai. Meskipun ban masih baru, tapi kalo lagi apes, kempes juga ketusuk benda lancip seperti paku dan semacamnya. Lalu ban itu digantikan ban serep dan dibawa ke tukang tambal ban. Lalu apa yang akan dilakukan tukang tambal? Dengan pembelaan bahwa ban akan ditambal, ban yang tadinya utuh tadi sekarang ditusuk dengan alat tusuk yang besarnya kira kira sama dengan ukuran kelingking kita. Ban yang tadinya bocor hanya seujung jarum, sekarang dibuat bolong sebesar mulut pipa. Para tukang tambal ban tubeless menyebutnya dengan "Cara menambal ban tubeless". Tahukah anda bahwa ini adalah permulaan dari kiamatnya ban baru kita. Setelah dibolongi dengan alat tadi, tali serabut disumbatkan ke bolongan ban dengan regangan yang cukup potensial untuk semakin merusak ban. Mulai dari bahan karetnya, anyaman benangnya sampai anyaman kawatnya dibikin sobek dan putus berantakan, sehingga ban kita menjadi semakin lemah. Inilah bentuk kiamat dari ban kita setelah membayar ongkos tambal 8  10 ribu perak. dapat dikerjakan sendiri tanpa melepas roda. Caranya adalah dengan mendongkrak roda yang bannya bocor (ban tidak perlu dilepas). Lalu putar setir agar ban mengarah keluar spakboard. Pompa sampai penuh lalu putar perlahan sambil disirami air. Setelah tampak gelembung udara pertanda bocornya, tandai daerah bocor (sebaiknya lingkari pake tip-ex). Cucilah hingga bersih daerah bocor itu lalu dilap dengan lap kering. Setelah kering tetesi dengan lem power glue sehingga lem meresap ke dalam lubang. Cukup dengan lem power glue yang harganya Rp.2000 saja. Bantulah dengan menusuk-nusukkan benda lancip seperti obeng plat yang bersih ke lubang agar lem lebih lancar masuk. Lalu tunggu kering selama beberapa menit. Lalu pompa lagi Ok! Pekerjaan menambal selesai. Permisi mastah, suhu dan para pertapa. Newbie pengen share tool yang digunakan untuk mendulang $Dollar$ dari amazon namanya SuperZon. Tool ini sengaja saya keluarin biar tahu bugs yang ada sebelum launch versi berbayarnya.. Tool ini akan saya nonaktifkan pada tanggal 21 September 2013 pada pukul 12.00 WIB. Tool ini saya buat tentu saja untuk mempermudah kita dalam pembuatan konten produk amazon, karena hal yang paling sulit menurut saya adalah pada tahap ini yaitu content building. 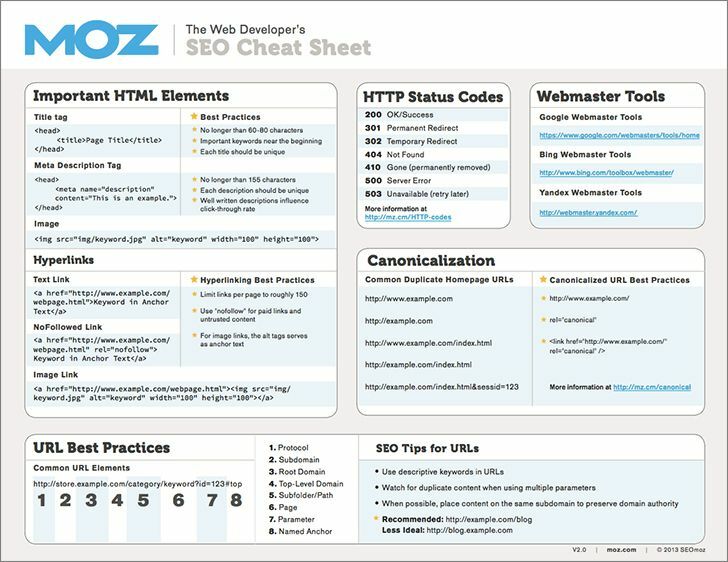 Selain hal tersebut, karena rata-rata yang diluaran sana adalah tool yang harus di jalankan di hosting karena berbentuk script PHP, dan pastinya membutuhkan hosting yang kuat juga. Oleh karena itu lahirlah SuperZon yang berbentuk software Desktop sehingga tidak akan membebankan hosting/server. SuperZon adalah sebuah Tool Desktop yang berjalan di OS Windows. Tool ini berfungsi untuk mengambil semua konten amazon melalui ASTORE (Jadi, pastikan Astore anda sudah aktif sebelum menggunakan Tool ini). Konten yang kita Grab itu berdasarkan ASIN yang bisa di peroleh dari Keyword to ASIN. Akan tetapi jika sudah punya koleksi ASIN bisa juga di gunakan kok. Keyword To ASIN, Fungsinya untuk mengambil ASIN berdasarkan keyword yang anda masukkan. Item Preview, Untuk melihat bagaimana item yang sudah anda grab di mata web browser. 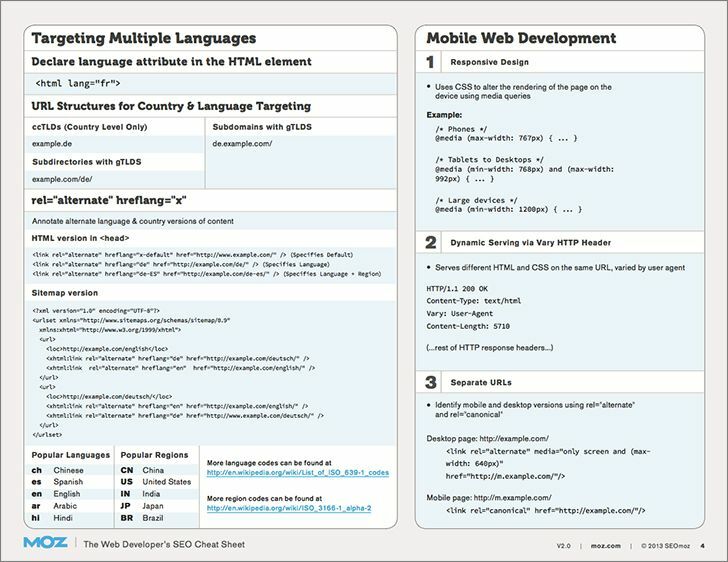 Blogger XML Builder, Untuk membangun Blogger XML yang kemudian bisa anda import. 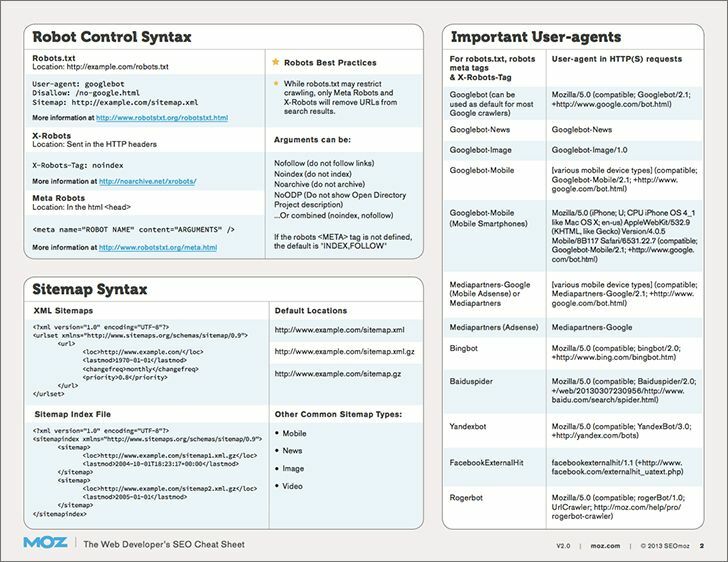 Custom Template, Untuk merubah/mengedit bagaimana template yang anda pakai untuk build XML nanti. Database Saving, Dengan adanya ini anda bisa menyimpan apa yang sudah anda grab menjadi sebuah data yang berekstensi *.dzn , sebagai jaga-jaga bila ada yang salah dan mau di benerin / di gunain lagi anda bisa membuka database ini melalui Tool SuperZon. Advanced Export Options, Yaitu untuk pengaturan Tanggal & Waktu di dalam pembuatan XML. Anda bisa menggunakan 2 pilihan yaitu Backdate dan Date Range. Pastinya semua sudah paham mengenai Backdate jdai saya tidak akan menjelaskannya. Date Range (Renta Waktu) adalah dimana postingan anda nanti akan hanya berputar pada tanggal awal postingan sampai tanggal akhir postingan, tidak lebih dari itu. PC anda harus sudah terinstall minimal .NET Framework 3.5, jika lebih malah lebih baik. Jika belum punya, silahkan download dari website resmi Microsoft secara gratis. Gimana Cara Dapetin Tool nya ? Tool ini hanya aktif sampai tanggal 21 September 2013. Tepat pada pukul 12.00 WIB tool akan segera di nonaktifkan. Mohon teman-teman se ads-id memberikan report dari bug-bug yang ada serta memberikan kritikan dan saran juga, biar nantinya untuk versi yang berbayar tidak mengecewakan. Memperkenalkan kepada Anda, template blogger yang saya beri nama Tertwit. Saya berinama seperti itu karena saya ingin membuat template ini 'Termirip Twitter'. Tapi benarkah template ini termirip Twitter? Anda yang menilai, Silahkan lihat demonya secara langsung. Tapi bisa dikatakan template ini masih versi beta, karena masih ada beberapa perbaikan kecil yang perlu dilakukan seperti static page nya dan rencananya template ini akan dibuat versi mobile yg juga mengikuti desain twitter. Akan di update disini nanti jika sudah selesai. Namun jika Anda ingin mencobanya sekarang pun tidak masalah dan Anda bisa memberitahu Saya jika ada bagian-bagian yang harus diperbaiki atau dikembangkan lagi. Did you know? : Founder Blogger dan Twitter itu sama lo, namanya Evan Williams. [SHARE] comment list (high approval rate) Untuk nyepam. Subject: [SHARE] comment list (high approval rate) Untuk nyepam. kepada om momod, kalo trid ini repost di delete aja ya, ane jangan diliburin..:hmm:. *Spot on with this write-up, I truly think this website needs much more consideration. I'll probably be again to read much more, thanks for that info. *I'd have to check with you here. Which is not something I usually do! I enjoy reading a post that will make people think. Also, thanks for allowing me to comment! HaHa). You definitely put a new spin on a topic thats been written about for years. Great stuff, just great! I procrastinate alot and by no means seem to get something done. *There are certainly a lot of details like that to take into consideration. That is a great point to bring up. I offer the thoughts above as general inspiration but clearly there are questions like the one you bring up where the most important thing will be working in honest good faith. I don?t know if best practices have emerged around things like that, but I am sure that your job is clearly identified as a fair game. Both boys and girls feel the impact of just a moment's pleasure, for the rest of their lives. *Your place is valueble for me. Thanks! *This web site is really a walk-through for all of the info you wanted about this and didn't know who to ask. Glimpse here, and you'll definitely discover it. *Nice post. I learn something more challenging on different blogs everyday. It will always be stimulating to read content from other writers and practice a little something from their store. I'd prefer to use some with the content on my blog whether you don't mind. Natually I'll give you a link on your web blog. Thanks for sharing. *I discovered your blog site on google and check a few of your early posts. Continue to keep up the very good operate. I just additional up your RSS feed to my MSN News Reader. Seeking forward to reading more from you later on!